Thiamine (vitamin B1) is an essential micronutrient and thiamine deficiency can lead to a broad spectrum of clinical abnormalities, referred to as thiamine deficiency disorders (TDD), of which the classic forms of beriberi in children are best known. Because of the broad and non-specific spectrum of clinical symptoms associated with thiamine deficiency, TDD often go unrecognized. Thus, we propose to develop a case definition for Thiamine Responsive Disorders (TRD), assess their associations with biochemical biomarkers of thiamine status and explore potential risk factors associated with TRD and biochemical indicators of thiamine deficiency. We are implementing a hospital- and community-based study in Vientiane, Lao PDR. The proposed study will include a group of hospitalized infants who are diagnosed with symptoms compatible with TDD. Based on the infants’ response to an intramuscular thiamine challenge, children will be defined as either TRD cases or non-responders. A community-based comparison group of infants in the same age range will be included in the study to serve as a control group for identification of potential risk factors. This position requires the coordination of a team of data collectors and involves study planning, staff training and supervision, quality assurance of data collection procedures, data analysis and interpretation, and related report writing. The project will take place in Vientiane and surrounding provinces of Lao PDR; and the incumbent will be expected to reside at the field site during the period of data collection (~20 months). The incumbent will help develop data collection forms and standard operating procedure manuals. He/she will oversee data collection and lead analyses of specific aspects of the above described study. The position requires continuous interaction with a large team of researchers, medical doctors, students and co-investigators from the National Institute of Public Health in Lao PDR, University of California Davis (UCD) and other partnering institutes. The incumbent will be responsible for on-site supervision of field personnel, technical guidance of field workers, quality control of data and sample collection, data management, statistical analysis and data interpretation. After completion of the data collection in Lao PDR, the incumbent will relocate to the University of California Davis to assist as co-author of publications resulting from the study and take the lead in writing scientific publications on some study results. This position requires a doctoral degree in medicine, biomedical sciences, human nutrition or public health (with emphasis in epidemiology, infectious disease, or nutrition), and experience carrying out clinical or community-based studies related to the control of micronutrient deficiencies and/or infection. It further requires at least one year’s experience in the public health applications of this expertise in lower-income countries. English language ability is an important prerequisite; Laotian or Thai language proficiency is desirable. 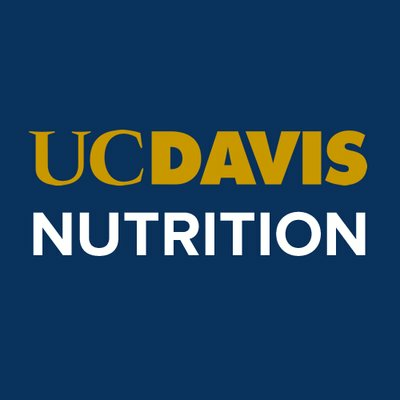 Please send your CV and a letter of application to Dr. Sonja Hess, Program in International and Community Nutrition, Department of Nutrition, University of California Davis (syhess@ucdavis.edu).